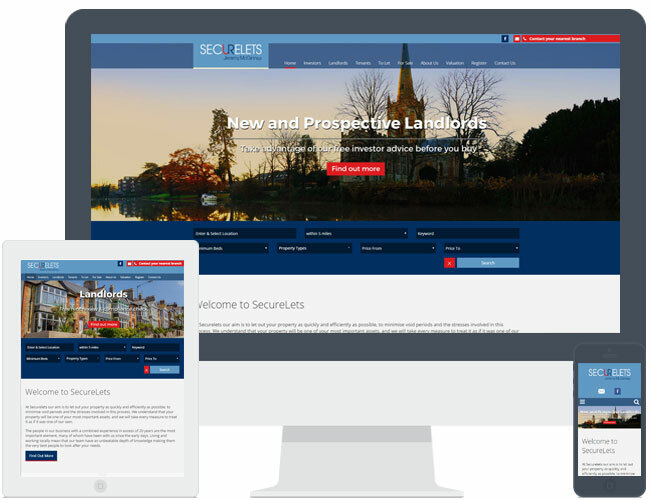 Securelets decided to use theme R7 for their new website. They have used the call to action text over the banner images, which link through to key website pages such as the valuation and register pages. This example has additional pages over the standard allowance.